Chennai-based on-demand chauffeur provider DriversKart has raised Rs 3 crore ($450,000) in a pre-Series A round of funding led by ah! Ventures. Kolkata-based Primarc group's investment arm iVenture and Silicon Valley-based investor Namit Agrawal also put money in this round. 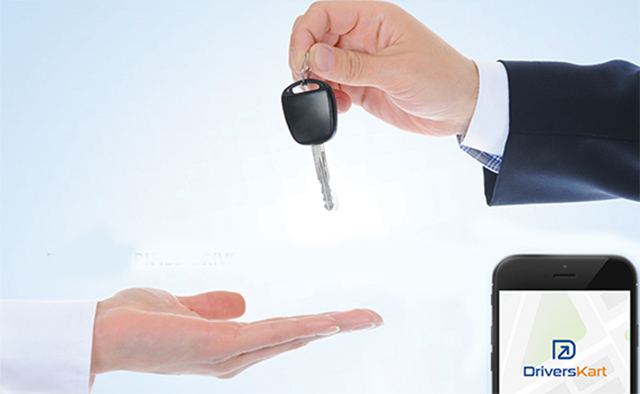 DriversKart, run by Get Driven Technologies Pvt Ltd, enables users to hire drivers on an hourly, weekly or monthly basis through its app. It was founded by serial entrepreneur Vinit Srivastava, former Jabong executive Lakshmi Potluri and former Cognizant executive Saksham Grover in 2015. The startup said it will use the funds to enhance technology, training and on-boarding of drivers and marketing. The company aims to facilitate 10,000 rides a day within 12 months, it said, without specifying how many rides it conducts currently. "DriversKart, aims to solve an inherent problem. Their ability to efficiently replicate the driver-on-demand model across cities will help them to aggressively expand pan-India," said Harshad Lahoti, founder and CEO of ah! Ventures. The startup operates in Bangalore, Mumbai, Pune, Delhi and Chennai and has about 20 employees under its payroll. It aggregates drivers and agencies on its marketplace after verifying the antecedents of the drivers and training them. Driverskart competes with the likes of Bangalore-based DriveU, Mumbai-headquartered Zimmber and Delhi-based Driver Bulao. On-demand driver services provider DriveU raised an undisclosed amount in funding from Unitus Seed Fund in March. Rejuvenate Solutions Pvt Ltd, the company behind on-demand home services platform Zimmber, raised just under $2 million in a pre-Series A round in July. Some other home services marketplaces, such as UrbanClap, also provide drivers on demand. But most of DriversKart's competitors are local on-call operators. Driverskart estimates the market for temporary driver services in India at $8 billion. A lion's share of this market is unorganised and fragmented. Startup funding network ah! Ventures has invested in about two dozen startups till date. In January, it backed matchmaking app Aisle. The investment firm iVenture was floated in February by Sidharth Pansari along with Apurva Salarpuria, Ayush Patni and Saket Agarwal to back startups.